It used to be, that unless you had a reason for visiting Melbourne, you’d probably end up in Sydney, heading north through Queensland. Now, with the launch of Air Canada’s new year-round non-stop service directly into Melbourne from Vancouver, that is all about to change. Interestingly, what Canadians saw of Australia largely depended on flight connectivity, with Sydney being the only hub and disembarkation point for Canadian visitors. 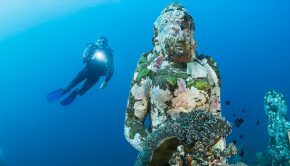 After landing in Sydney, the tourist trail would most often lead visitors north to the Gold Coast, Brisbane, The Great Barrier Reef and Cairns. 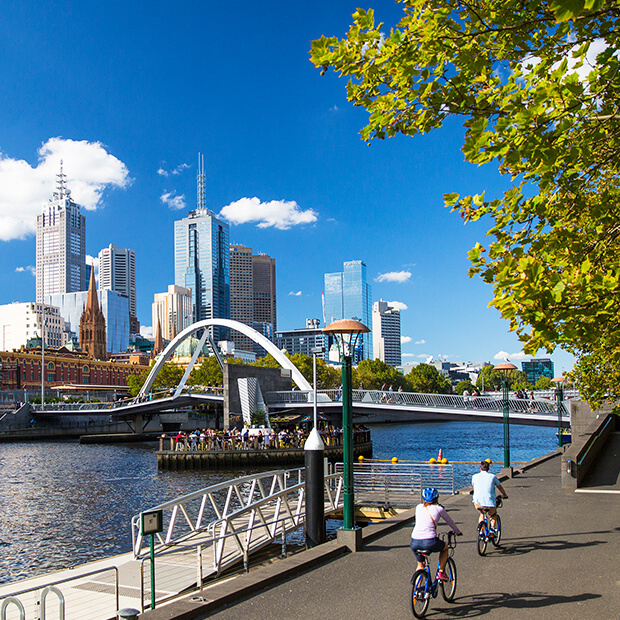 With Australia being as big as it is, many visitors unintentionally missed the country’s cultural heartbeat, soul, and second largest city, Melbourne. For those that have seen it all on their trip to Australia, Melbourne always makes the top of the list, and for good reason. It’s edgy yet refined, artsy, cool and delicious, borrowing from many but intrinsically its very own. Classic Victorian buildings beam beside Art Deco high-rises and gleaming skyscrapers fronting the Yarra River, melting into dynamic neighbourhoods, plenty of green spaces, and more than 230 laneways that make Melbourne unique and distinguishable. 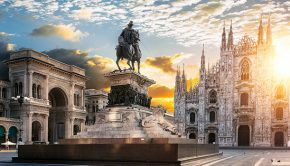 Today, with Air Canada’s convenient new route set to commence in June 2018, there are more than enough reasons why Melbourne should be your fist stop on your trip to Australia. A haven for artists, musicians, students and migrants, and all that comes with them, Melbourne is cosmopolitan, multicultural and accepting, voted ‘World’s Friendliest City’ by Conde Nast Traveler readers in 2014 (alongside Auckland, New Zealand), and the ‘World’s Most Livable City’ for seven years straight. This social cohesion is on full display in the city’s many hip hoods, all showcasing the benefits of diversity. Sink your teeth into a standout restaurant scene, browse impressive museums and galleries and revel in the excellent live music that’s seemingly everywhere. 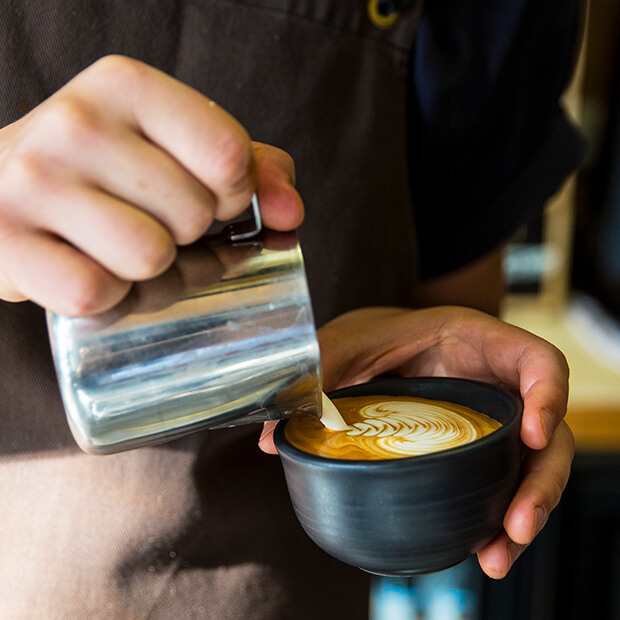 Stop and savour a perfect flat white or a crisp local Chardonnay; whether you’re in a quiet cafe, a lively wine bar or a trendy waterfront restaurant, Melbourne’s easy-going disposition is, well, easy to enjoy. 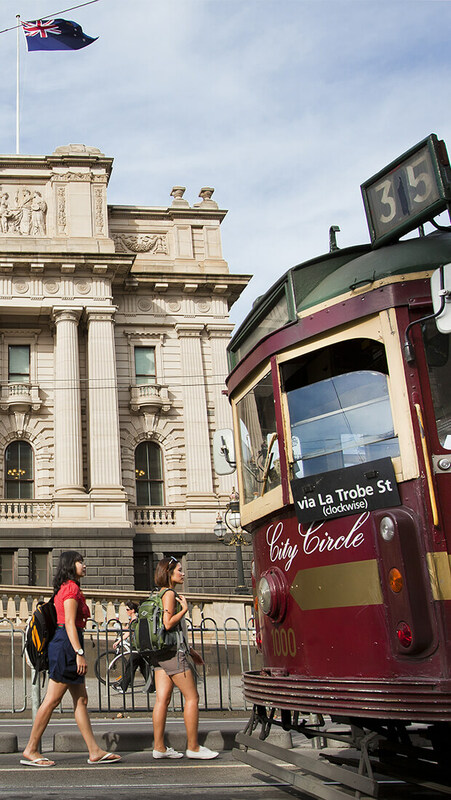 To get around the Central Business District (CBD) and the historic City Centre north of the riverfront, hop on the free City Circle Tram. With the tourist in mind, the route runs the perimeter of the CBD in vintage green trams, providing audio commentary highlighting points of interest along the way. Public art for everyone! 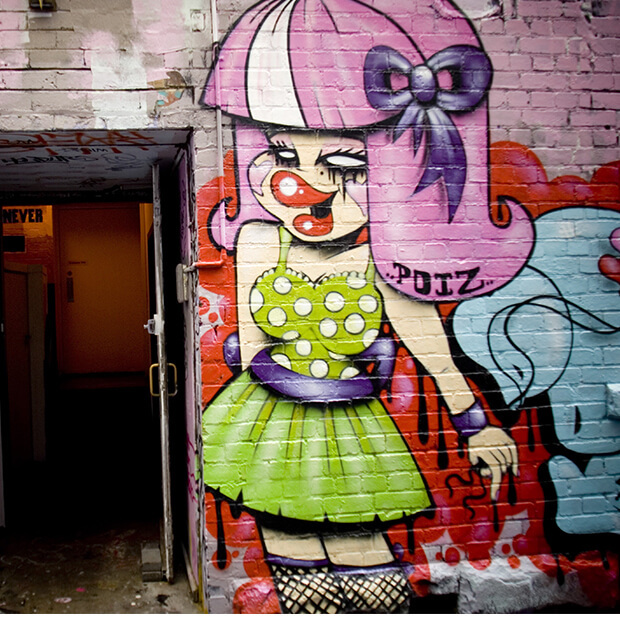 Stroll it, run it, photograph or paint it yourself – Melbourne’s iconic labyrinth of striking laneways and arcades are a must-see. Not only are they captivating, living pieces of art, they are your gateways to many of Melbourne’s treasures. Don’t miss this on your next trip to Australia! 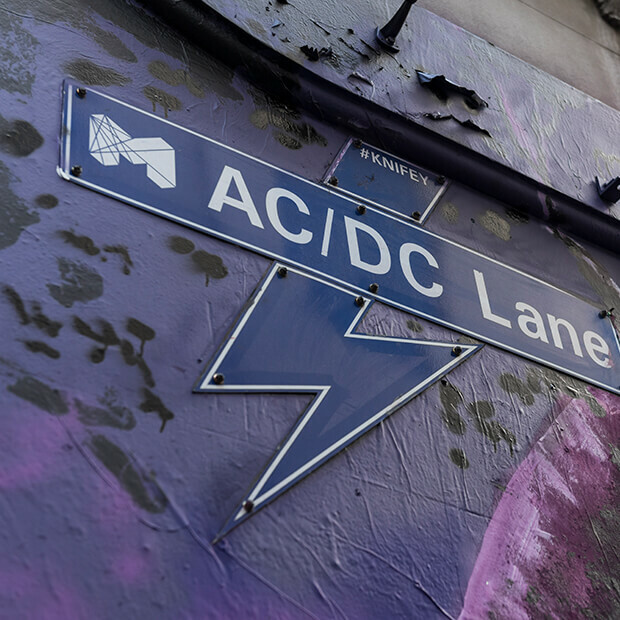 It’s in magical alleys like Hosier Lane, AC/DC Lane, Union Lane, Degraves Street, Block Arcade and Rutledge Lane that you’ll find many of Melbourne’s hippest bars, restaurants, cafes and shops. There are local running groups that purposely route through them, and in-depth walking tours are available to explain their history and significance. The art itself is world-renowned, often with a political or anti-establishment slant, but it can also be light and humorous, and can change daily. If you prefer your art crawl a little more structured, Melbourne has more than enough museums and galleries to keep you busy, too. 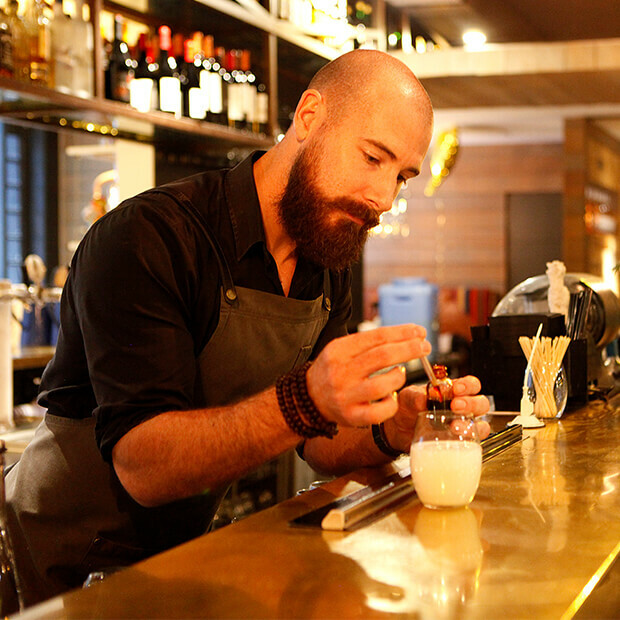 From markets and pubs to wine bars and trendy new eateries, Melbourne has a contagious food and drink passion, and does it all exceptionally well. Coffee is an institution here and taken very seriously. Same goes for wine, with Yarra Valley, a world-class wine growing region, just 90-minutes from the city. 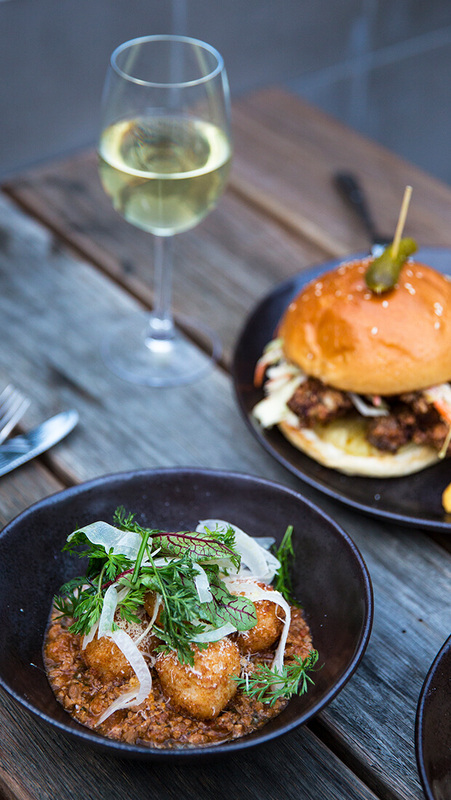 Whet your appetite foraging historic Queen Victoria Market, slurp a bowl of ramen in the City Centre for lunch and sample modern Australian dishes on the shores of St. Kilda for supper. 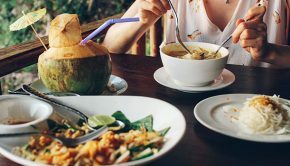 With a booming Chinatown, classic Italian trattorias, French bakeries and authentic Thai, Vietnamese, Indian and Greek restaurants, you really can’t go wrong. Scattered throughout is a healthy dose of vegetarian and vegan restaurants, too. And if you’re wondering, tipping in Australia isn’t customary or expected. Melbourne is also completely sports-crazy, hosting many local, national and international events watched by millions worldwide. The pro tennis tour kicks-off each grand-slam season with Melbourne’s Australian Open. 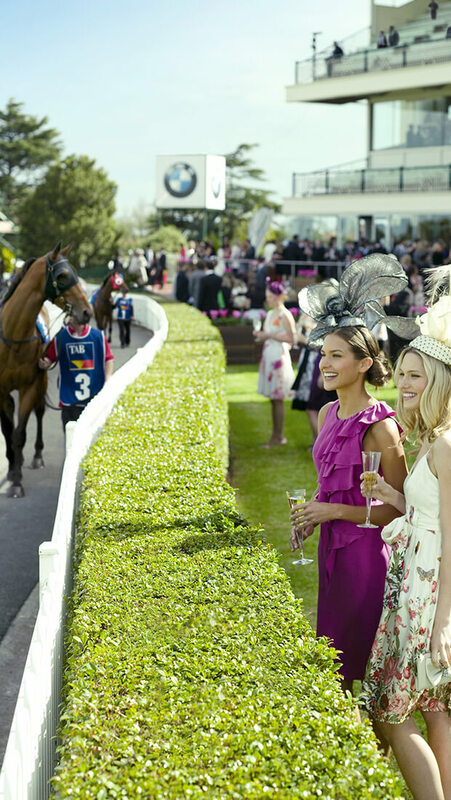 The Melbourne Cup horse race is another popular event, as is Formula One’s Melbourne Grand Prix, held every March. Cricket is a national obsession, but, without question, AFL Football (Aussie rules football or simply ‘footy’) ranks supreme, evident in the 100,000 capacity Melbourne Cricket Ground stadium, used for both cricket and football. But it isn’t just pro sports. 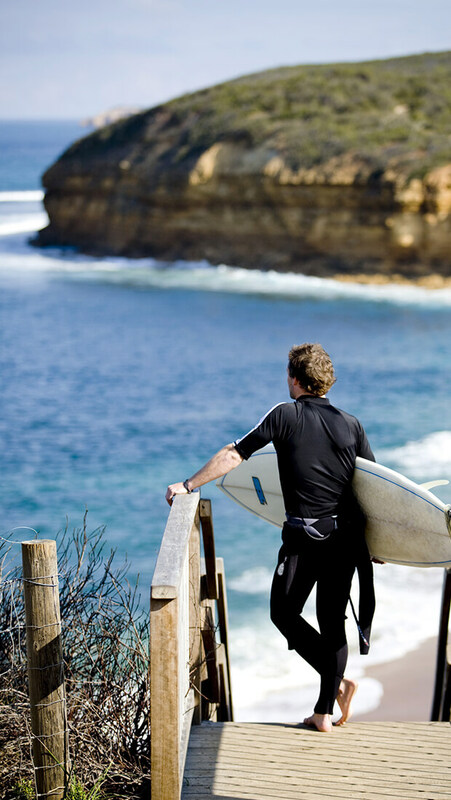 Aussies are an active bunch and when they’re not cheering on their favourite team, they’re running, biking, swimming and surfing in the many parks and beaches readily available. 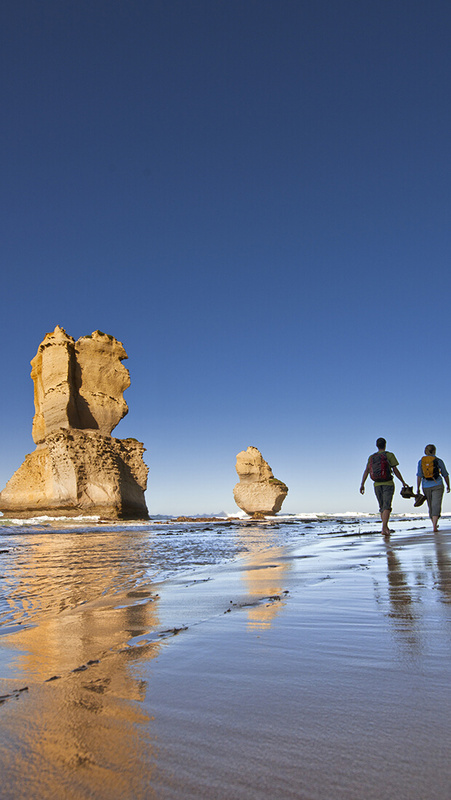 If you’ve already travelled Australia’s east coast and want to see more of the world’s largest island, landing in the state of Victoria makes getting to South Australia, Tasmania, and even West Australia, that much easier, following the spectacular Great Ocean Road. Within an hour’s drive from central Melbourne, you could be wine tasting in the Yarra Valley, beachcombing seaside resort towns (Sorrento and Portsea) and strolling through the peaceful gardens of Dandenong Ranges National Park. 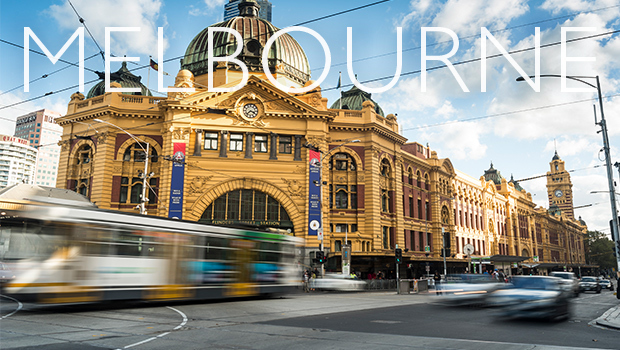 Whether you’re touring around or visiting Victoria only, no trip to Australia is complete without exploring Melbourne. Get there now!